The Hyperlocal Geotargeting Solution developed by SocialCops helps businesses create a data-driven picture to target locations with the highest business potential. Organizations can view business ranks of their existing stores, identify localities in the city with the highest business potential and prioritize opportunities for market expansion. 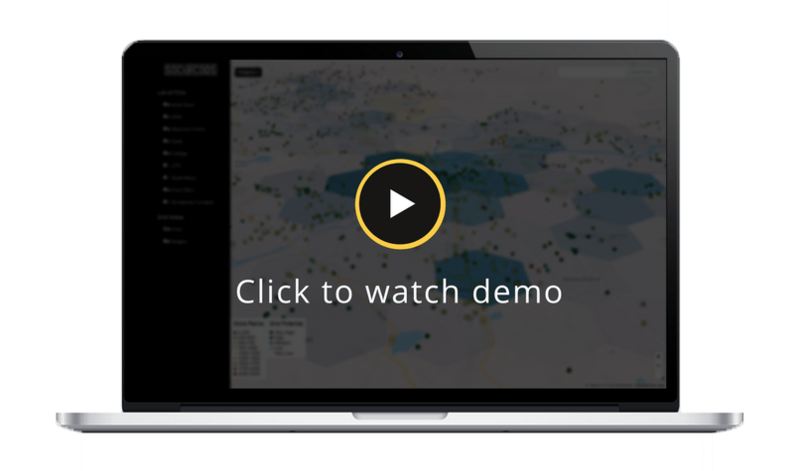 Businesses can combine location data of the target geographies with their own company data, such as store locations or sales performance, pulled from siloed CRM system and sales reports. This is layered with data about points of interests, such as the location of nearby competitor stores, banks, residential complexes and other attraction points - all sourced from Access, our rich repository of secondary data from over 600 public data sources. Identify stores and localities with the most points of interest and highest business potential. Reach more consumers by activating existing stores in areas of high business potential. Expand store network by opening new stores in high business potential to capitalize on demand. Optimize the returns on their marketing spend by prioritizing the best locations to target. Our solution lets you view business potential for each store, based on an analysis of nearby points of interest, such as banks, residential complexes and stores of competitors, along with other demographic and economic data. Businesses can create a strategy of which stores it should target with its new product or service. 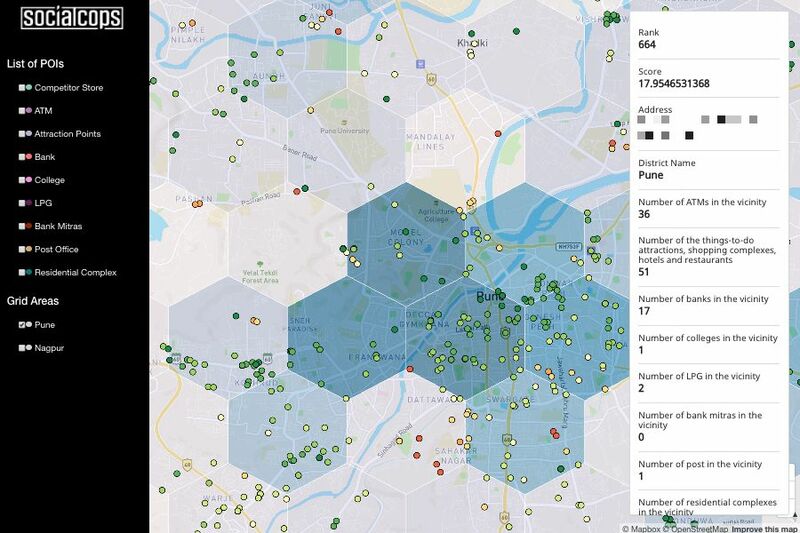 The solution layers store-level data with point-of-interest data for every location, to map areas of influence in the city using 2.5 km wide hexagonal grids. This lets businesses find areas with high business potential but no existing company stores — the perfect locations for expansion. 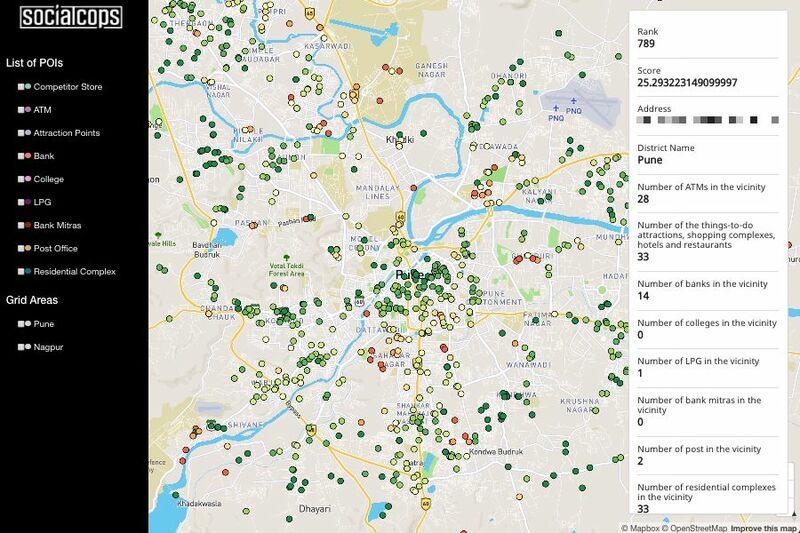 Learn more about the role we played in helping one of India's telecom giants use hyperlocal business potential data to roll out a new product in Tier 2 cities.